Symptoms of a torn meniscus can include a sensation of popping, stiffness, swelling, painful movement, difficulty straightening knee or a sensation of the knee being “locked.” If you suffer an injury and have difficulty moving your knee, or if you experience acute knee pain or swelling, you should contact a healthcare professional. The meniscus is a small C-shaped piece of cartilage located on the inner and outer edge of the knee. Each meniscus provides cushioning while stabilizing your knee when you put weight on it. The most common causes of a meniscus injury are turning too quickly or twisting your knee, which can happen during heavy lifting or playing sports. Minor tears result in minimal pain and swelling that goes away in two or three weeks. Moderate tears result in pain on the side or middle of your knee, as well as swelling which becomes increasingly worse by day two or three. Symptoms may disappear in two weeks, but can return during excessive movement or another twist. Severe tears result in pieces of the torn meniscus moving into the knee joint. Straightening the knee can be difficult, and the knee may be wobbly or give out entirely without warning. Swelling and stiffness may appear immediately after the accident, or within the first two days. Depending on the size of the tear and the amount of discomfort and pain you may be experiencing, a medical professional can diagnose the severity of your injury and decide the best treatment option. Most minor to moderate tears don’t typically require surgery, but only a medical professional can recommend the right treatment option, which may include icing, compressing, or performing stretches and exercises to strengthen the knee. 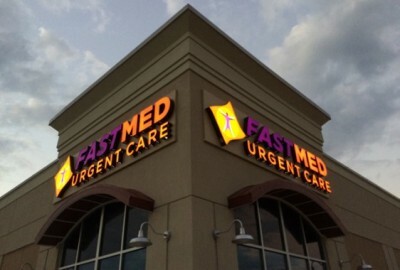 For treatment that is fast and caring, visit your nearest FastMed Urgent Care. Our medical professionals and friendly staff are ready to help relieve your torn meniscus symptoms seven days a week. We accept most major insurance plans, including Medicaid and Medicare, so check out our Insurance page to confirm that your plan is accepted.